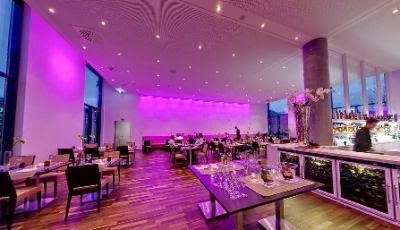 Fashion Vitamins: My favorite places in Düsseldorf. My favorite places in Düsseldorf. Maybe you already saw on Instagram that I went to Düsseldorf last week. I had such a nice time. I didn't know that there are so many nice shops. I will certainly come back to Düsseldorf ! Here are my favorite places. 1. More Jades. By far my favorite shop ever. They sell designer fashion for man and woman. you can find brands like Moschino,Alexander Wang,Filles a Papa,Isabel Marant..
What I like the most about this shop is the atmosphere there. Most of the time when I walk into a shop like Moschino or Prada , I just feel awkward. Here you don't have to feel like that at all. Here they also sell designer fashion for man and woman, Maybe a little bit more exclusive. They also sell perfume,cosmetics,books and music. A nice and clean designer hotel. They have one of the best restaurants I have ever been to. A big store like Inno or Selfridges. They sell cosmetics, jewelry, designer fashion, shoes, bags,etc. You can find brands like Givenchy,Balenciaga, Pierre Balmain,..